Our commitment to supporting individuals with disabilities and their families is a critical component of who we are as a Jewish community and as a Jewish Federation. Greater MetroWest ABLE is a network of community leaders and professionals — representing 13 agencies across our community — that works together to advocate for and create a culture of inclusion. Together we engage our families, synagogues and local agencies to help create a community that’s accessible to all members. But we don’t just stop in New Jersey. We’re blessed that the Feinberg family, long-time generous supporters of our Federation, decided several years ago to help in this endeavor and generously renovate an old neglected compound to become a center for the development of children and youth in Ramat Eliyahu, a neighborhood of the city of Rishon LeZion. The Feinberg Center was constructed in memory of Sheldon Feinberg z"l by his wife Betty and his children Peter, Randi, Jami, and Lori. Many more community members and friends have helped support the center over the years. Having been to the Feinberg Center, I can tell you that the dance and music studios are filled with life and beauty, as are the sports facilities. But the jewel in the Center’s crown is the Aviv Kindergarten: a state-of-the-art program, unique of its kind, which provides therapeutic and educational structure for children with autism ages zero to three. This kind of program is critical at this early age because it focuses on treatment and evaluation. It can shape the kids’ entire lives. There are only ten kids in the class, with double the number of professional staff there – an amazing (but necessary) ratio. 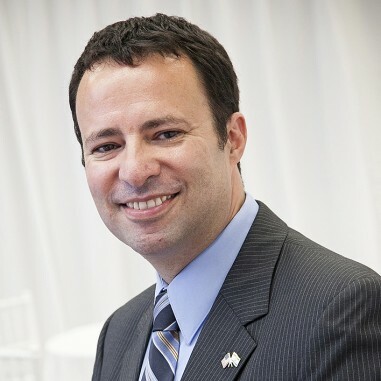 The program is fully funded by the municipal and state government as well our Jewish Federation of GMW, through our local community center (the Matnas). For some time it’d been clear that the facility of the Aviv Kindergarten was getting older and needed some “face lifting” physical renewal. 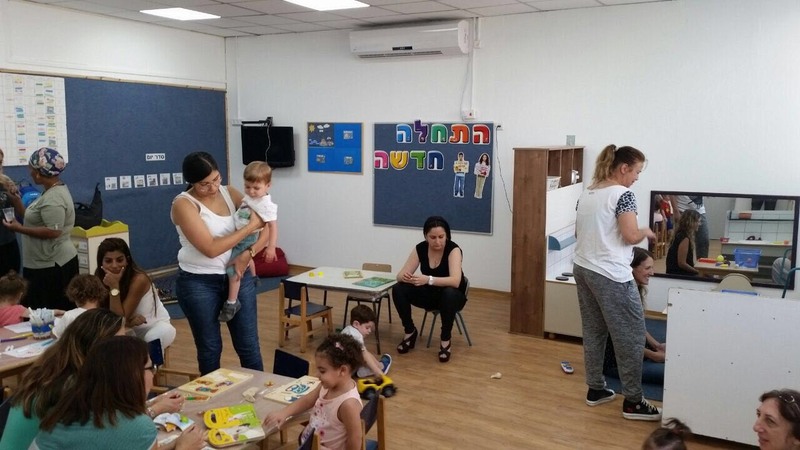 With the incredible generosity of the Newman and Feinberg families, the Aviv Kindergarten was able to renovate its space and greeted the new cohort of children two weeks ago with a much nicer and upgraded facility. We’re going to help keep the center operation and maintenance to the highest standards possible for many years to come. The vision of the Feinberg and Newman families is rooted in the values of a Federation community that spends time and energy and resources on the vulnerable and the differently abled. Not just because it’s the compassionate and Jewish thing to do, but also because that’s how we build Israel and our own sense of who we are. We’re better because of their commitment, and we’re better together when we develop these amazing programs.